My Marcelle Medallion progress has been painfully slow the past few weeks. After a late night yesterday, I have just one final border–not part of the original design–to add before my quilt top is finished. 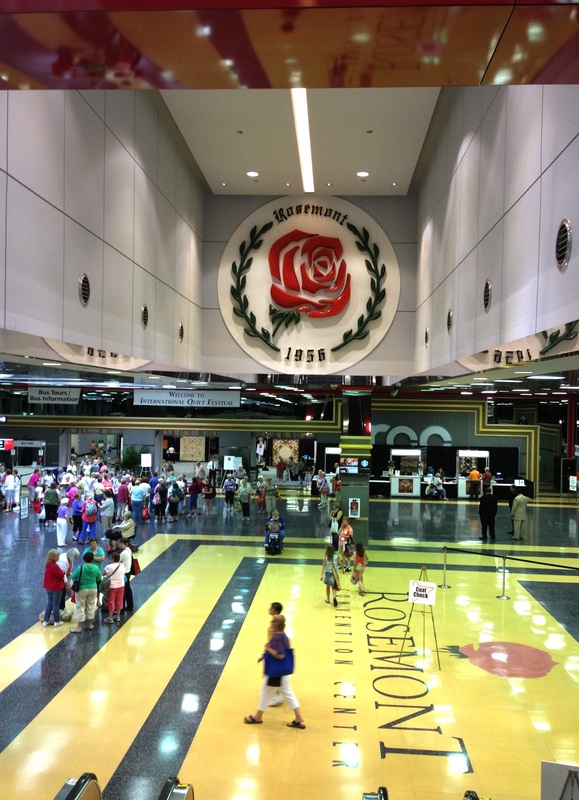 In the meantime, I wanted to share some photos I took at the International Quilt Festival in Chicago a week and a half ago. The photo quality isn’t great; I wasn’t sure whether a large camera would be allowed in the conference space, so I used my iPhone. 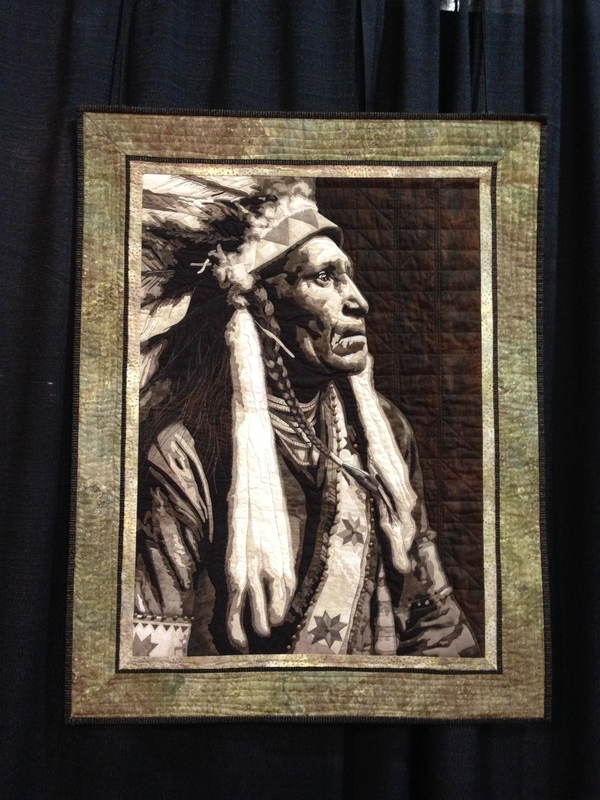 Next is another portrait – “Raven Blanket” by Lynn Czaban of Vancouver, Washington, USA. It won Honorable Mention. 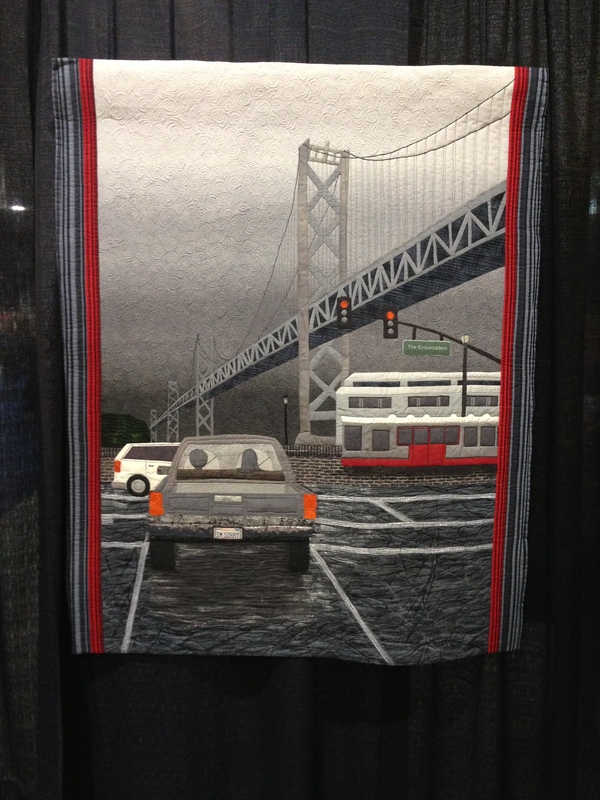 This is called “Departure.” It won first place in the Traditional Pieced Category. It was made by Kiyomi Takayanagi of Kitanagoya, Aichi, Japan. This one is “Mabel – 1952 REO” by Susan Cane of Canaan, Connecticut, USA. It won second place in Art-Pictorial. 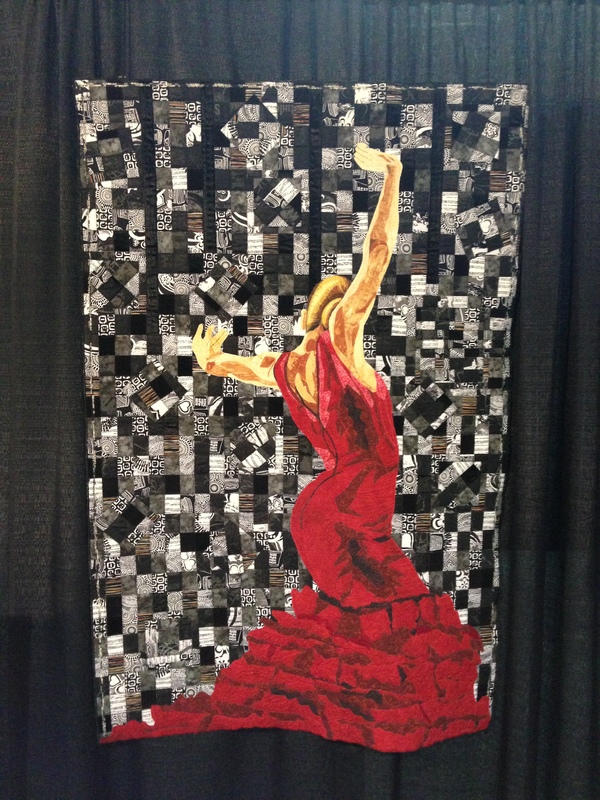 This quilt is “Flamenco” by Jin Gook Yang of Suji-gu, Yongin-si, Gyeonggi-do, Korea. 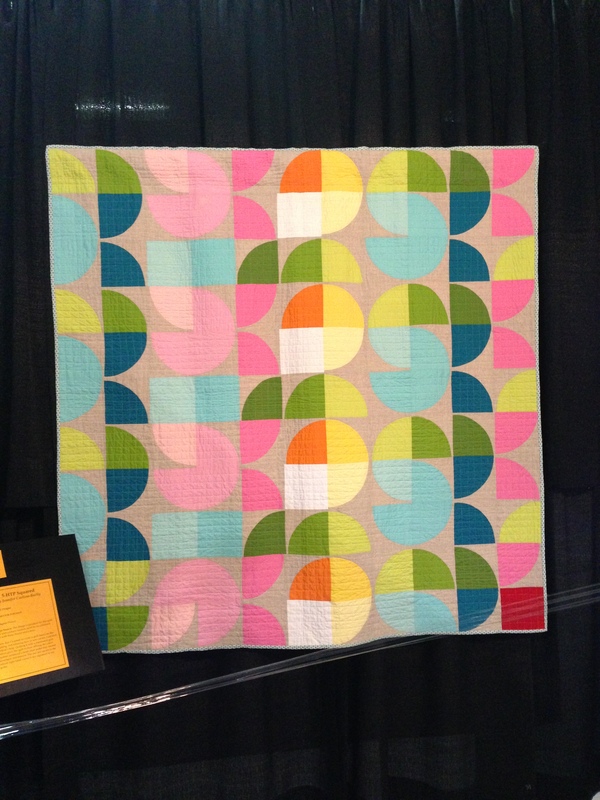 This quilt is “5-HTP Squared” by Jennifer Carlton-Bailly. 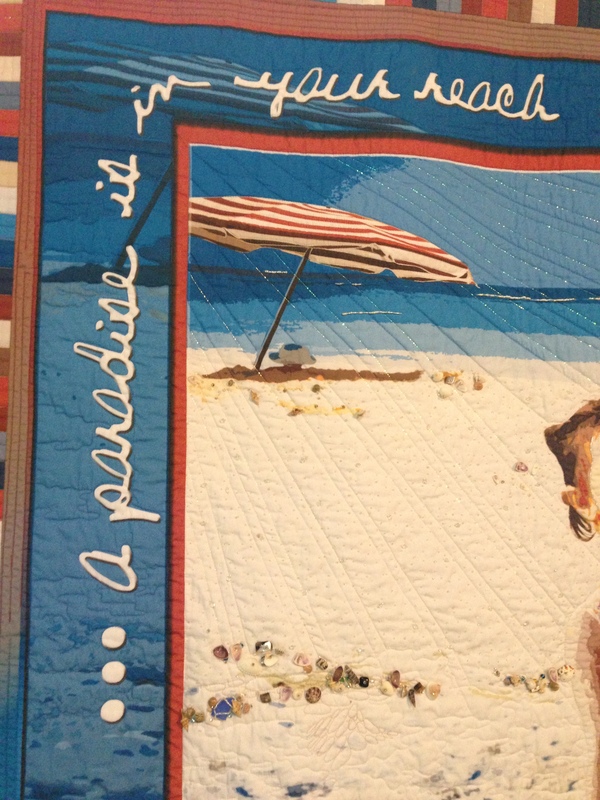 The next quilt is “Ladies of the Sea” by Carolyn Stine of Springfield, Illinois, USA. I was surprised by how much I liked this quilt. 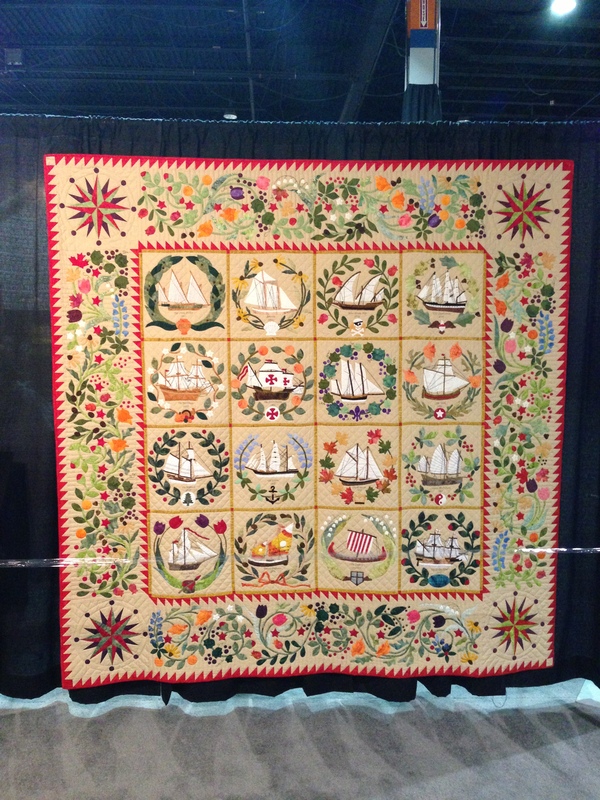 Nautical themes aren’t my thing, and on first glance, it was more traditional than some of the other quilts I favored. Then I noticed the amazing variety of ships: everything from a pirate ship to a junk to a rowboat with sails! I also like how she incorporated color into the borders. 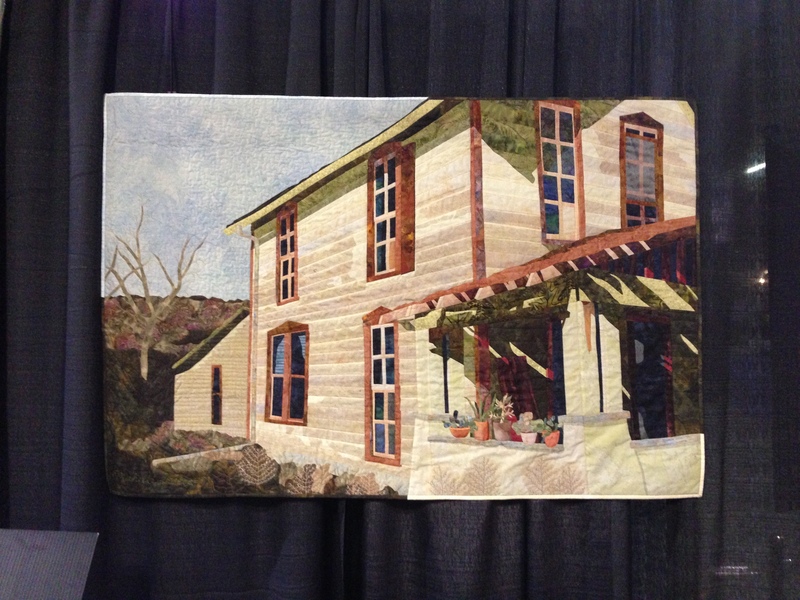 Next was the Berne House Quilt. 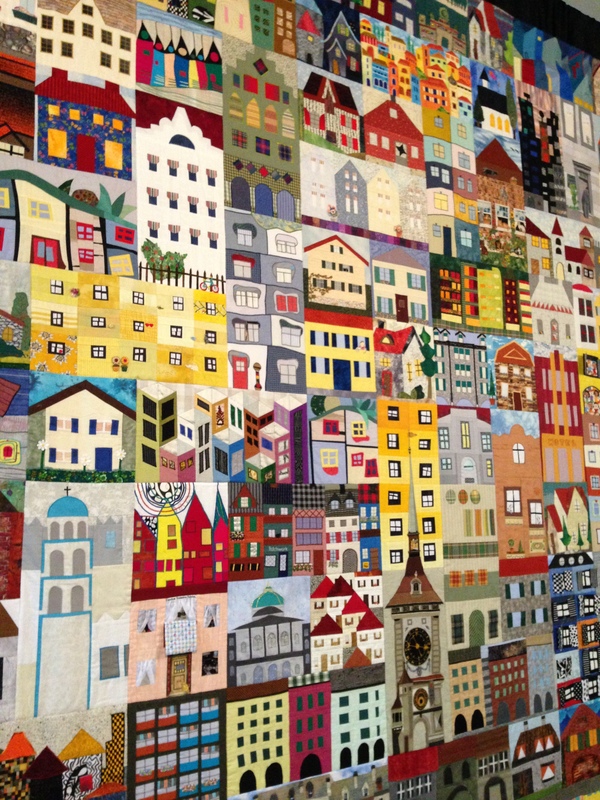 It was made by the members of the Bernese Quilters for an exhibition in Berne, Switzerland, in 2010. 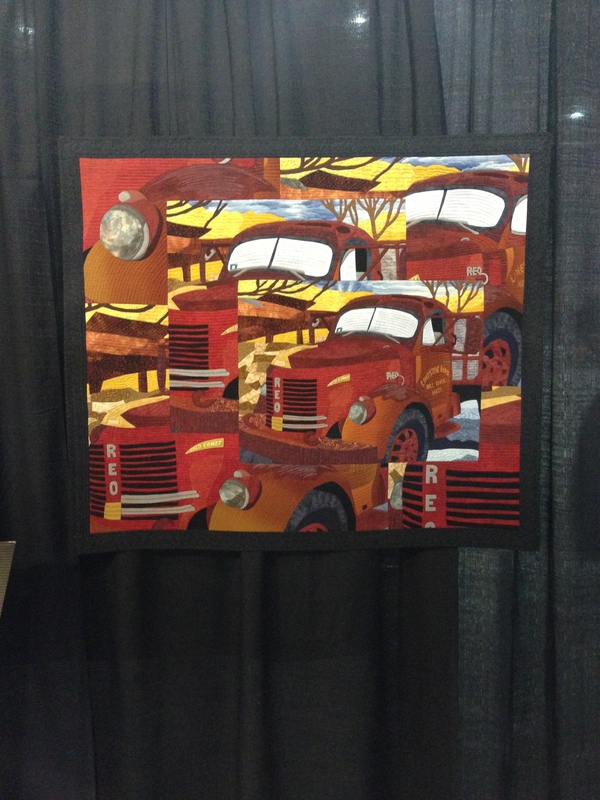 …but then I noticed the quilting. Metallic thread was made to look like the sun’s rays streaming across the beach and the little girl. 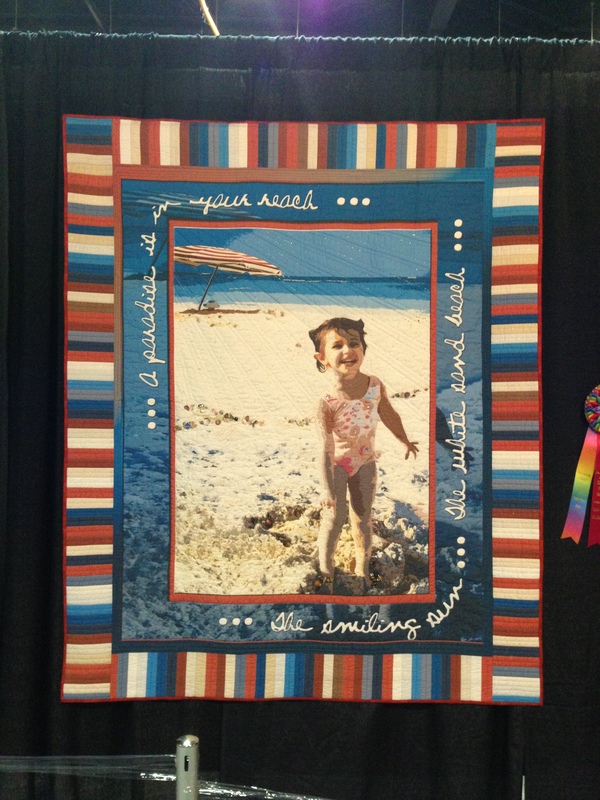 The quilt is “Childhood Exhilaration” by Julie Brandon and Valerie Schultz of Williamson, New York, USA. This beautiful house was the subject of “Lazy Afternoon” by Michelle Jackson of Albuquerque, New Mexico, USA. There were, of course, many more quilts. These were just a few that I personally considered highlights. I also stocked up on some pretty sweet fabrics. In all, it was not a bad way to spend a few hours after work on a Friday night. 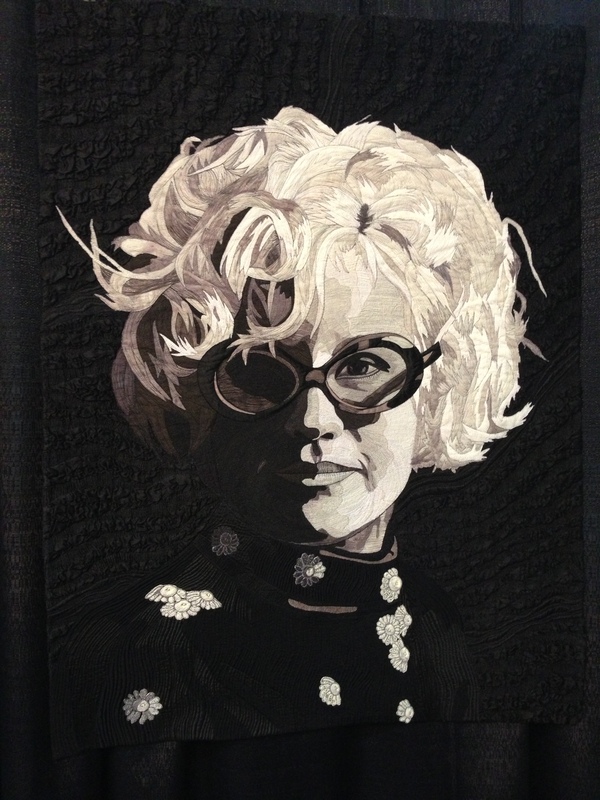 If you’d like more details about any of the quilts, send me a message or leave me a comment. 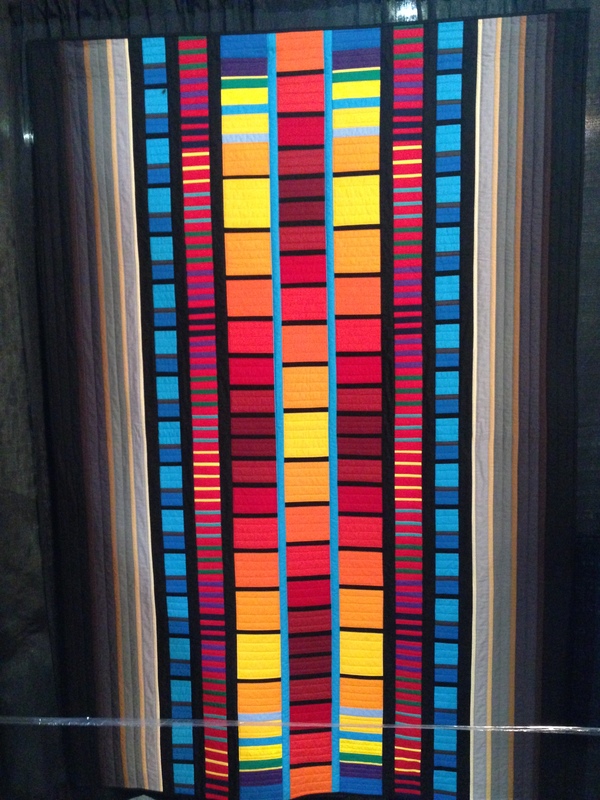 I took photos of the placards for all the quilts I posted above. 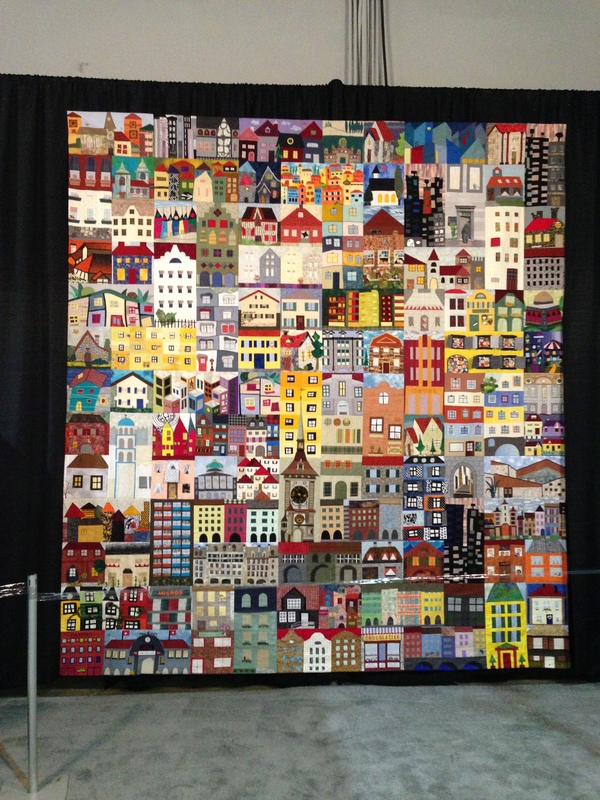 Categories: Quilts | Tags: 2010, 5-HTP Squared, Berne, berne house quilt, Brigit Aubeso Bell-Lloch, Carolyn Stine, chicago, Childhood Exhilaration, Colorstrips #1, departure, fabric, flamenco, illinois, international quilt festival, international quilt festival 2013, international quilt festival chicago, international quilt festival chicago 2013, Jennifer Carlton-Bailly, Jin Gook Yang, Julie Brandon, Kiyomi Takayanagi, Ladies of the Sea, lazy afternoon, lynda faires, Lynn Czaban, Mabel - 1952 REO, make you happy, Michelle Jackson, Monday, nautical, October 25, patchwork, photographs, photos, pictures, portrait quilt, Rainy Day - San Francisco, Raven Blanket, rosemont convention center, Sally Wright, sewing, ship quilt, ships, susan cane, Switzerland, Valerie Schultz | Permalink. Thanks for sharing these beautiful pictures. 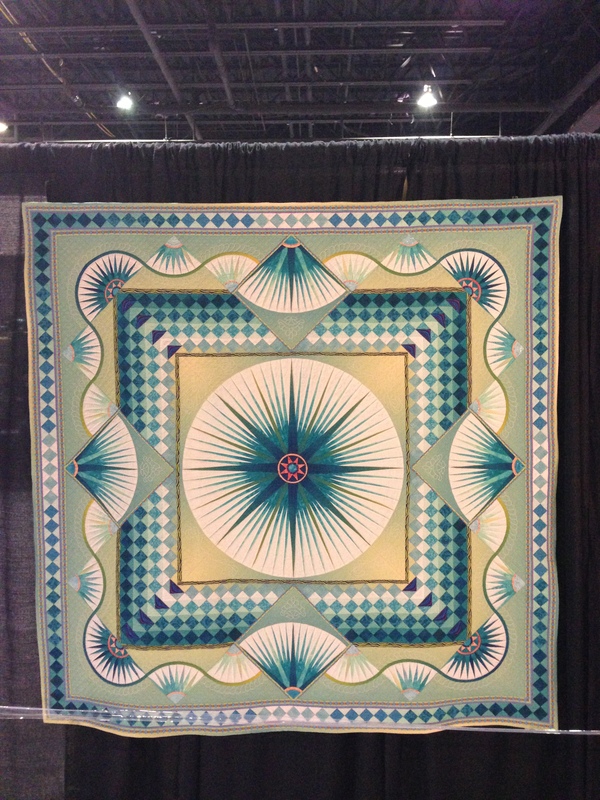 I’ll probably never get to a quilt show again so I really enjoy them. Went to the local bank today to see a quilt that’s being raffled. The drawings were of local buildings done by Hannah Marie E. The squares were then embroidered by local needleworkers. This was great–really enjoyed your photos and your commentary. Thanks for posting this!